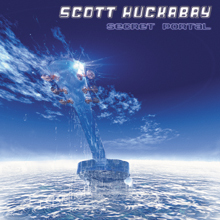 Scott Huckabay is a brilliant guitarist whose groundbreaking style incorporates elements of Rock, Blues, Jazz and Fusion. His mastery of the fretboard of his acoustic guitar is fantastic. Behind the explosive dynamics and pulsating rhythm of Scott Huckabay’s alchemical guitar work lies an inspiring story of healing and recovery that is perhaps, more powerful than the music itself. Scott Huckabay’s crafts acoustic-trance and other-worldly soundscapes. With bare feet, pounding a mesmerizing heartbeat he dances in a circle, shaking his guitar like a shaman shaking his medicine rattle, and leads us on a mesmerizing journey. 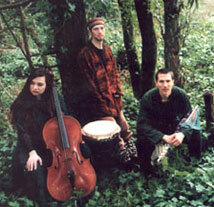 Huckabay layers trance like acoustic rhythms and percussive textures into a rich, holistic union. He dabs from an extensive sonic palette, incorporating lush modal voicings, two-hand tapping, harmonics, helixing rhythms and percussive ankle-bell foot percussion, Angular harmonics and fluid tapping add color to the melodic contours of “Spirit Wind”. TELESMA lending ancient and modern instrumentation and spirit, Baltimore-based Telesma bridges the gap between primal and futuristic, setting itself apart from other bands in the music scene with their intoxicating sound and extra-ordinary live performances. Telesma’s unique sound is driven by the primal voices of the didgeridoo (one of the oldest instruments in the world), the kubing (bamboo mouth harp), tribal drums and percussion, and voice. These elements are fused with modern instruments including keyboards, guitar, bass, theremin, samplers, modern drums, and the unique homemade “manDrum” to create a trance-like pulse not unlike that heard in modern electronic dance music. ESTAMPIE The celebrated German band ESTAMPIE (named after a medieval dance and musical form) was founded in 1985 by Sigrid “Syrah” Hausen, Michael Popp and Ernst Schwindl. 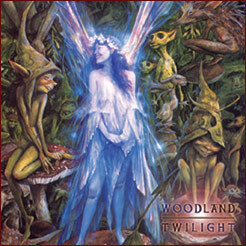 Their music can be described as “medieval”, though they are also working with elements of Pop and World Music. Estampie is internationally known for using ancient instruments without electronic amplification. A compilation CD celebrating their 20 year career was released in September by Dancing Ferret Discs. Zilla is a Colorado based trio of musicians with the live experience in mind. An improvised experience, each Zilla concert proves to be a completely new occurrence, with even the band members having no idea where the music will take them night after night. 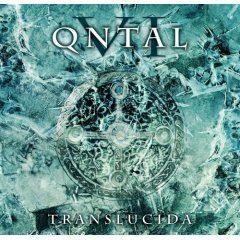 QNTAL presents a melding of traditional music with contemporary electronica, creating music of beauty, emotional power and depth. With the soaring vocals of Syrah at the center supported by the accomplished musicianship of founder Michael Popp and Phillipp Groth, QNTAL explores classic, poetic and mythic themes of love, beauty, mystery and wonder. Their latest album is “Silver Swan”. QNTL is popular in Europe and has an expanding US fan base. 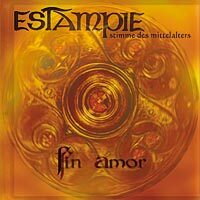 ESTAMPIE The celebrated German band ESTAMPIE (named after a medieval dance and musical form) was founded in 1985 by Sigrid “Syrah” Hausen, Michael Popp and Ernst Schwindl. The group can be described as “medieval”, though they are also working with elements of Pop and World Music. Estampie is known for using ancient instruments without electronic amplification. A compilation CD celebrating their 20 year career was released in September by Dancing Ferret Discs.